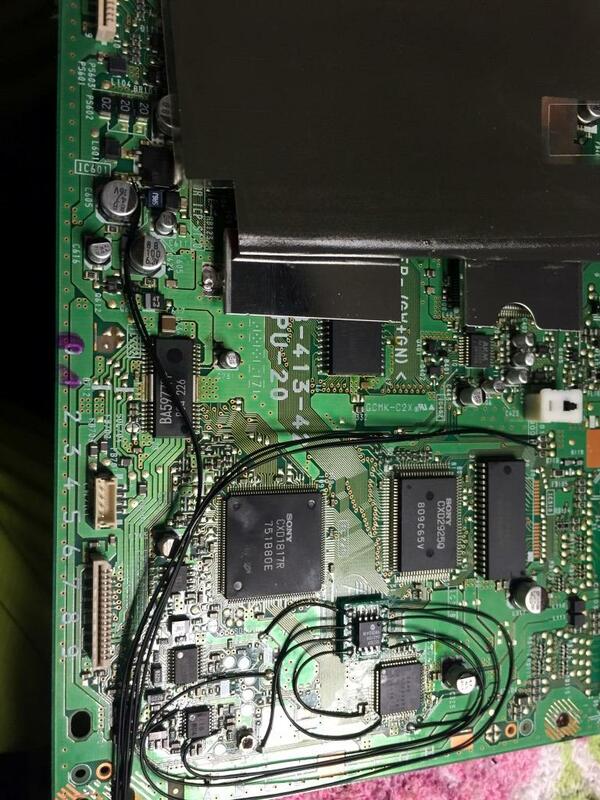 Discussion in 'Modding and Hacking - Consoles and Electronics' started by citrus3000psi, Aug 8, 2015. 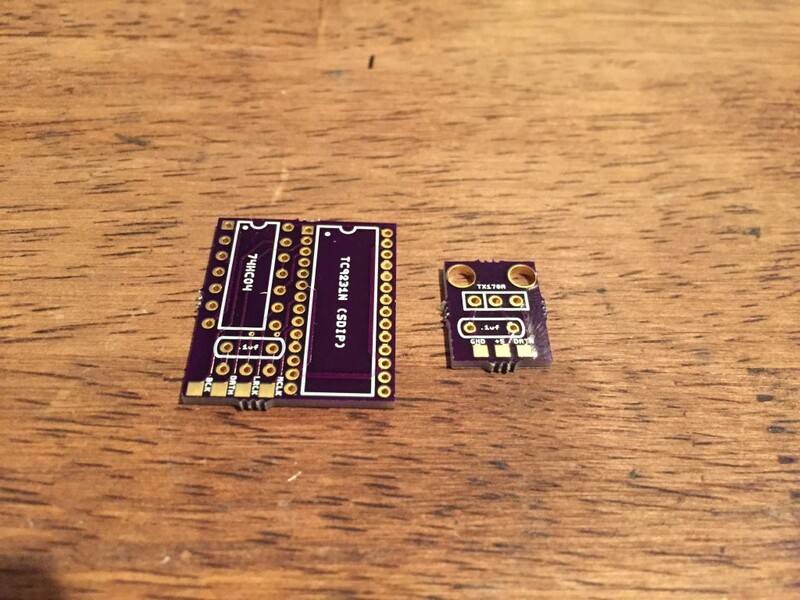 I designed some PCB's and put an order in at OSH Park (6 bucks shipped) for 3 boards. The board is setup so you can choose to put pin 7 at high or low. 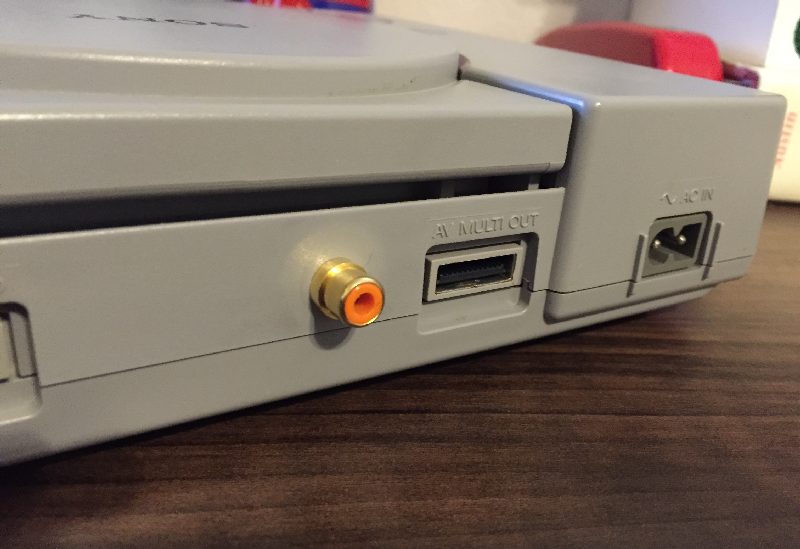 The ps1 requires pin7 to put low, but the saturn requires pin 7 high. I had to notch a small part of the plastic here for the toslink connector to fit. I also had to cut the metal shield (not shown) Getting the toslink connector in a good spot and looking good was by far the hardest and most tedious part of the project. Mugi, Taijigamer2, CodeAsm and 8 others like this. This looks really clean. Great job! Thanks for the info! 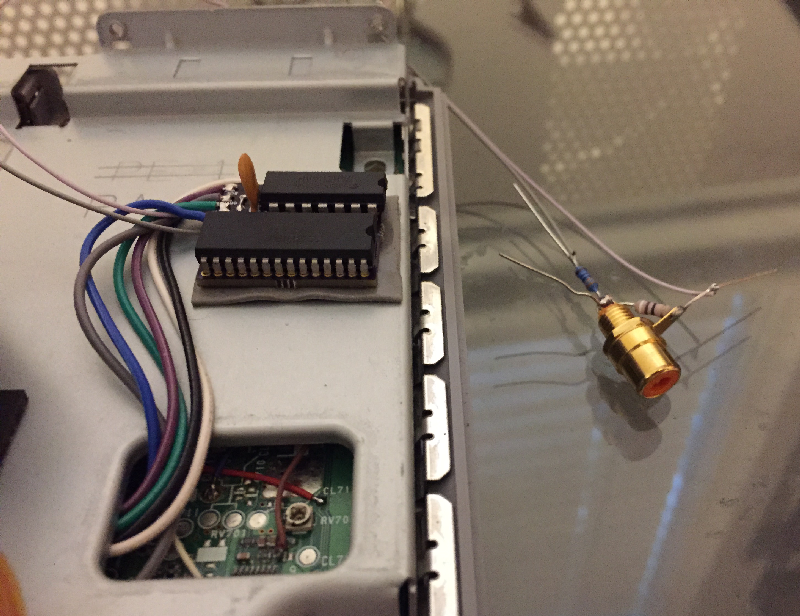 Last year, I did digital coax out on my SNES, Saturn, and Dreamcast, but couldn't find any information on how to do so for the 7001 PSX. When I get some time soon I'm going to tackle this. For the SNES did you use the Cirrus chip? Yep, I did. I have a whole baggy of Cirrus chips so this weekend I think I'll try this mod with the Cirrus chip. 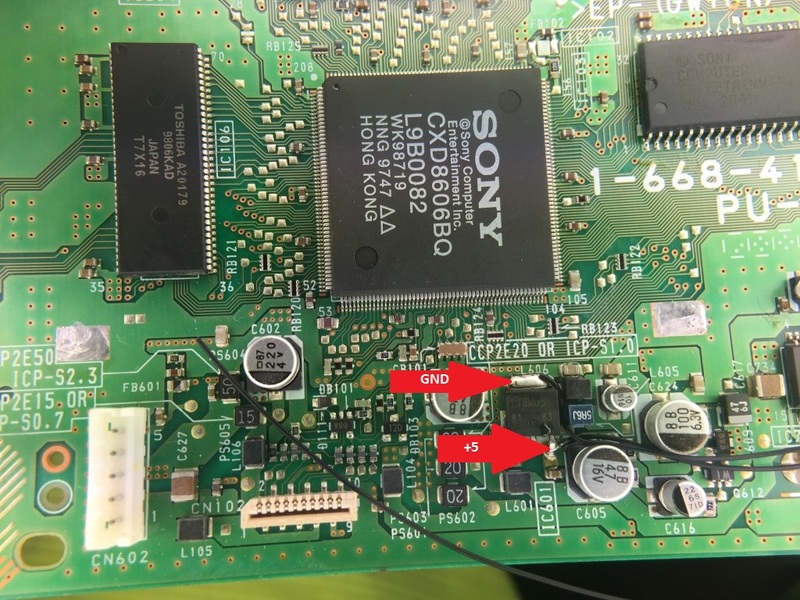 Bummer, I compared the Toshiba datasheet and the Cirrus datasheet so I could figure out the equivalent way to wire this up to the Cirrus, and unfortunately it doesn't support the 384 frequency of the PSX So I'll have to get that Toshiba chip I suppose. I'm pretty sure I read somewhere that someone got it working with the Cirrus chip. Very nice. I want to do this. "The board is setup so you can choose to put pin 7 at high or low. 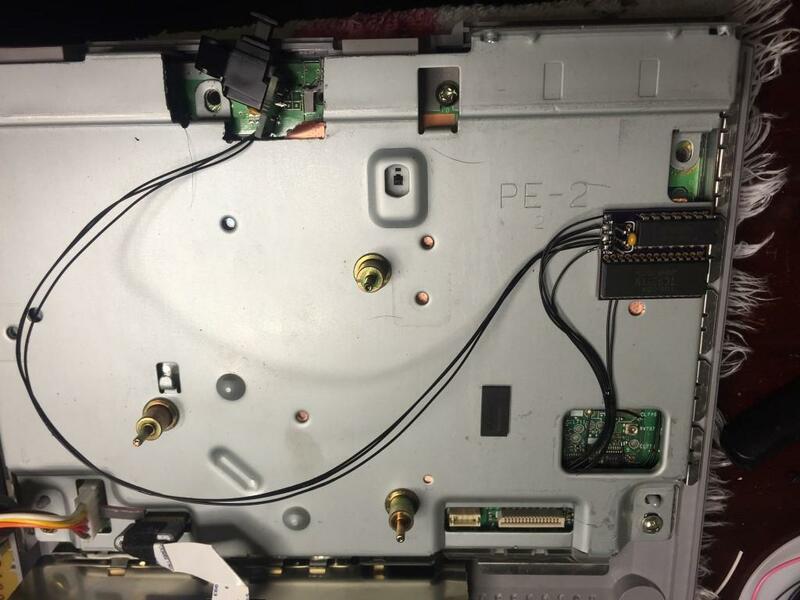 The ps1 requires pin7 to put low, but the saturn requires pin 7 high." ? What is this pin 7 high (low)? I'm going to do a Dreamcast and a Saturn. The Toshiba chip accepts multiple audio sampling frequencies, but you have to tell it which one to use. There is a chart in the datasheet that list the available frequencies. From memory if pin 7 is low then the Toshiba chip is looking for 384fS; its its high then the its 256fS. Most the systems use either 384 or 256 for the sample frequency. Like I said the board it setup so you just need to jump two pads together with a piece of wire. 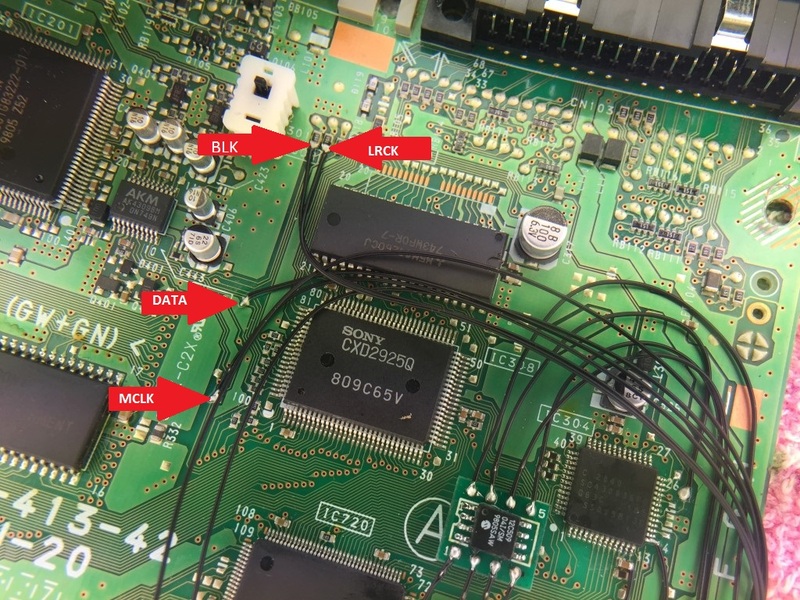 You can see the jumper soldered in on the saturn/dreamcast page. pin of the three leads to pin 7. Got the PCBs in from OSH Park this morning and put this mod together. I chose to use coax instead of optical though. She works! Just need to figure out how I'm gonna cut the metal plating so that I can actually mount it to the case. 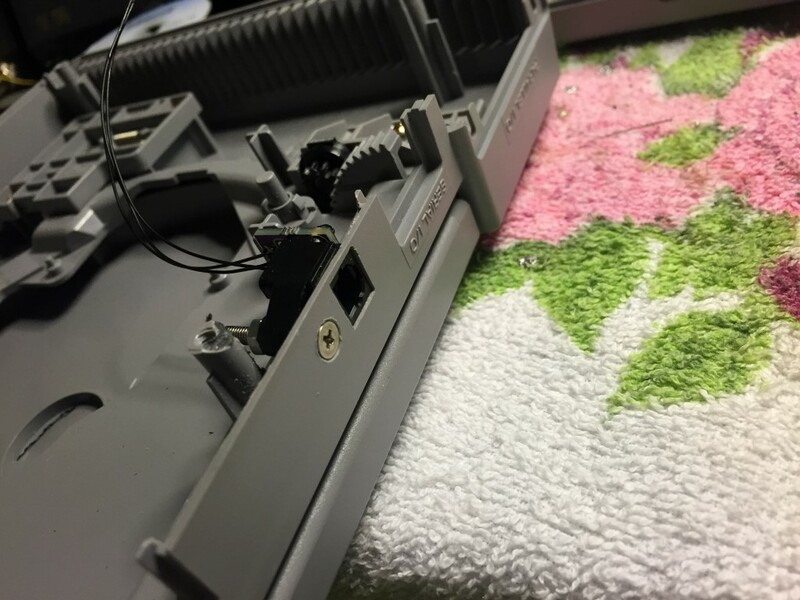 While I'm in here I might also mount a yellow RCA jack for composite video output, since using light guns like the GunCon need a composite output but I'm using a sync-on-luma RGB cable. Looks good. I have air tools so I used a cutoff wheel to cut up the metal plate. Nice job and btw, you don't need the Composite jack. Sony released an adapter for the Guncon years ago. It plugs into the multi-out and outputs Composite Video and Stereo audio to RCA jacks on one side (S-Video is sometimes on there as well) and a pass-through for the multi-out on another side. This means you can still use RGBS with sync on luma and use the Guncon without the extra RCA jack. If you do go with the jack, try replacing the Luma line on the Multi-Out with C-Sync from the video chip. It will give you a better picture. You could then cut the Composite video line on the Multi-Out and replace it with Luma. Now I understand, and by looking at the back of the board i can see that if i jump the center pin to the other side it's ground. Thanks so much for clearing that up. By the way...If I wanted to do coax how would I do that? Yeah, I could get that adapter, but mounting a composite jack is more fun. Although I might just scrap the idea, since I'm pretty sure a Guncon will work with luma, in which case I can just plug it into the sync output BNC connector of the back of my RGB monitor. As far as modifying the multi-out goes, I don't want to do that, I'd prefer to leave all my consoles' output connectors with a standard pinout. 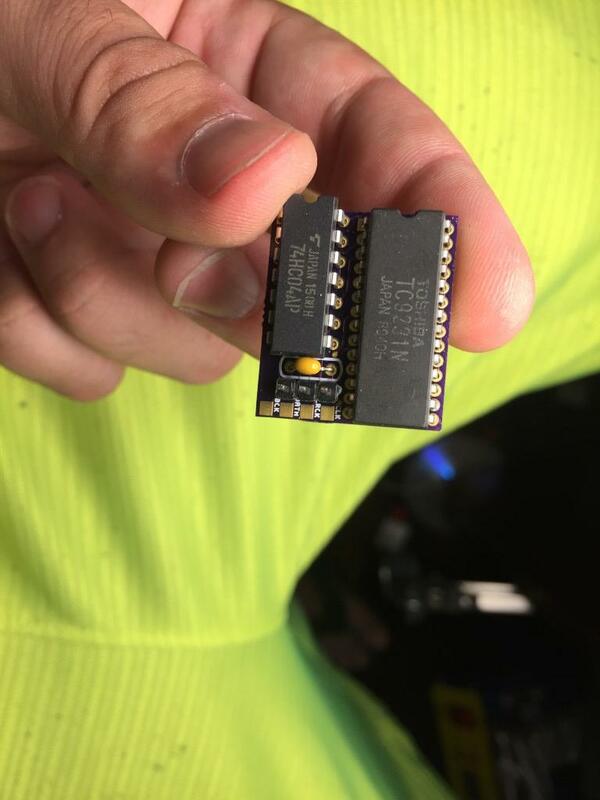 Get a coax jack, connect the data output of this PCB to the center of the jack using a 330ohm resistor, then after the resistor, connect the data signal to ground using a 91ohm resistor. Look at my picture for an example. I completely understand, it is more fun lol. 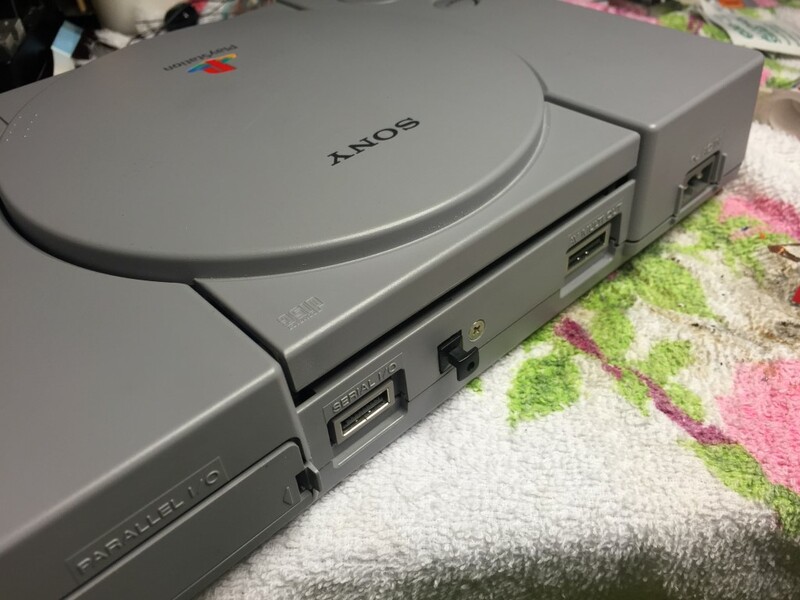 I'm in the process of modding the multi-out on my PS1 to make it RGB only. I'm replacing Composite video with C-Sync (already done), Luma with H-Sync, and Chroma with V-Sync to make it RGB only. I was originally gonna use RCA jacks for that mod but after opening the system, I realized this would be a hassle since there isn't any plastic on the bottom half of the case near the AV, Serial, and Parallel I/O ports. 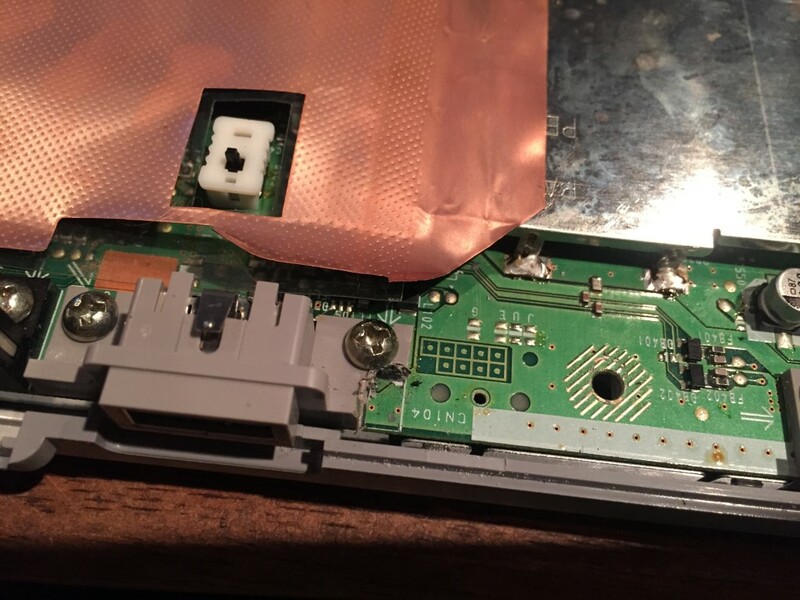 If I did use the top half, I would have to make the sync signals use detachable connectors internally so I could take the console apart again if needed. Finished the mod up today. I cut the metal plating with a Dremel. When I cut into the plastic on the back of the case, my nose filled up with an extremely memorable smell--the smell of Christmas 1998 (I think it was). I distinctly remember the smell of the PlayStation and the box, even though I haven't smelled that "new PlayStation" smell in almost two decades, but cutting into the plastic took me back there. Thanks again for posting the info for this mod and letting me relive that moment of childhood bliss. Alastor and CodeAsm like this.